JIO Giga Fiber is a fast broadband service offered by Reliance Industries Limited (RIL). JIO GigaFiber is FTTH (Fiber to the Home) and first fiber based broadband service which was officially launched on 5th July 2018 by Reliance Industries Managing Director Mr. Mukesh Ambani. Started before few months back, Reliance JIO’s pilot project has now officially rolled out with name JIO GigaFiber. The aim of JIO Giga Fiber is to provide broadband service Fiber to Home (FTTH) via fixed lines. Currently JIO Company has announced that JIO Giga Fiber will be rolled into more than 1100 cities across the India very soon. Registration has already started from 15th of August via JIO official website and my JIO App. JIO Giga Fiber is latest fiber based broadband service offered by Reliance Industries Ltd with speed of 100 Mbsp. JIOGigaFiber speed will change your digital life, and offers you to explore digital world with unlimited broadband experience to surf internet, play online games and work at unbelievable surfing speed. It will increase uploading and downloading speed with ultra fast data transfer technology and make your place high speed internet zone. With this technology connectivity will directly come to your place with fiber to the home (FTTH) technology. 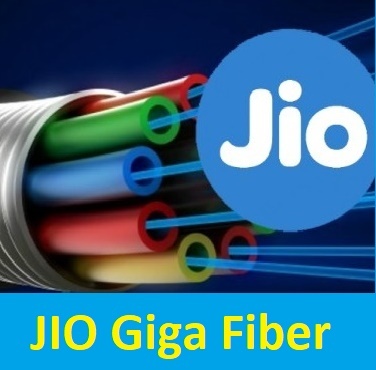 The JIO Giga Fiber services is not going to offer only fiber wired FTTH broad band service but offering some add-on JIO services and high benefit scheme like JIO Giga TV, JIO Smart Home, JIO Giga Route, VR, HD TV calling and many more. What makes JIO Giga Fiber Unique? How to Register for JIO Giga Fiber Broadband Services? Step2: Here enter your current address by pressing change button, after fill up this form just hit on submit button. A new form will appear. Step3: Now it will ask to fill your name, mobile no, and email id, just fill all the fields and click on generate OTP. Step4: Now you will receive an OTP in your phone, just select one from (Society, Township, Developer, etc) and enter your OTP and click Verify OTP. After completing this process you will be registered for JIO Giga Fiber Service and they will contact or you will get informed for this service once or if it will available in your locality.